The classic black door has always been a popular choice among homeowners, famed for its distinctive and classy appearance. Alongside this, the timeless appeal of the true black door makes it an important addition to any colour offering. 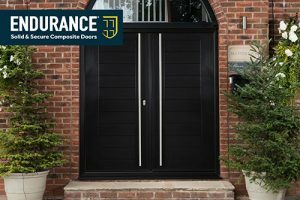 With this in mind, Endurance Doors are launching a new ‘true’ black colour to replace their current Schwarz Braun tone. Titled ‘Raven Black’, this option offers a deep, rich, and full black tone. Further to this, Endurance has also carried out innovations to ensure this colour option does not suffer the same as its predecessors. It’s common knowledge that the colour black attracts heat, which can cause a degree of expansion that cracks the foil laminate. Raven Black avoids all of these problems, creating the iconic look that is set to last the test of time. Even when exposed to the elements over the years, this black will continue to keep an ‘as new’ appearance. The reflective properties of the Cool Skin used to achieve the hard-wearing Raven Black colour result in up to 95% heat reflection, making Raven Black an option for even south-facing entrances. Stephen Nadin, Managing Director of Rocal, commented: “Our Installer Network felt strongly that a true black colour option was a necessity for our range. From this, we have worked tirelessly to find a solution that would fulfil their requirements without creating future quality and service issues. That way, our Installers can enjoy the best of both worlds.” This new colour takes its place amongst Endurance’s already comprehensive selection of 18 colours. 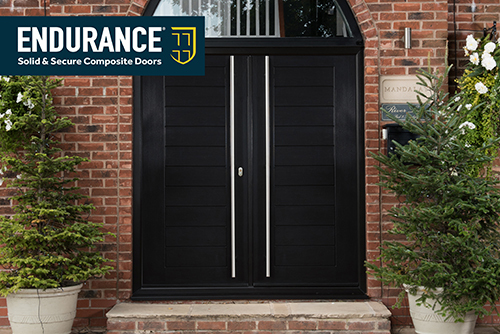 With this, members of Endurance’s Preferred Installer Network are able to offer their customers an easier path to a bespoke composite door solution.